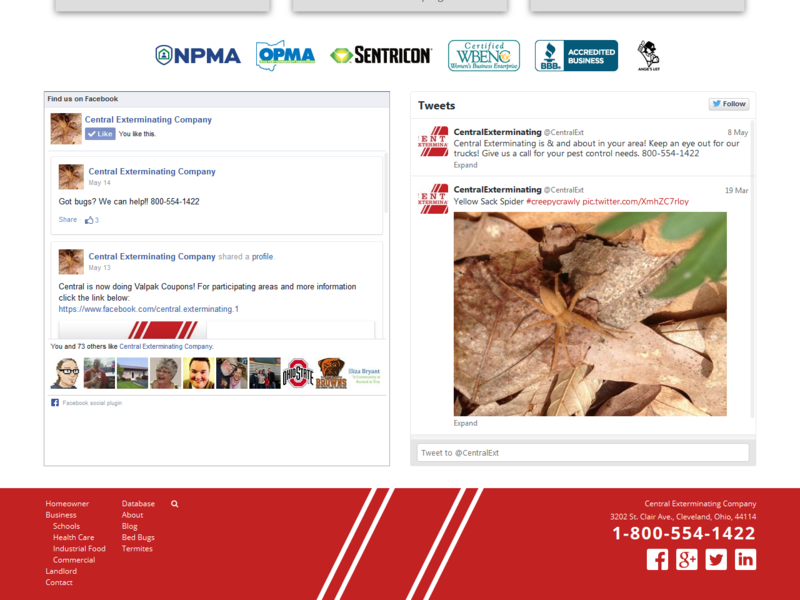 Full disclosure: this is the company my father works for! 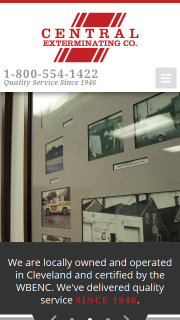 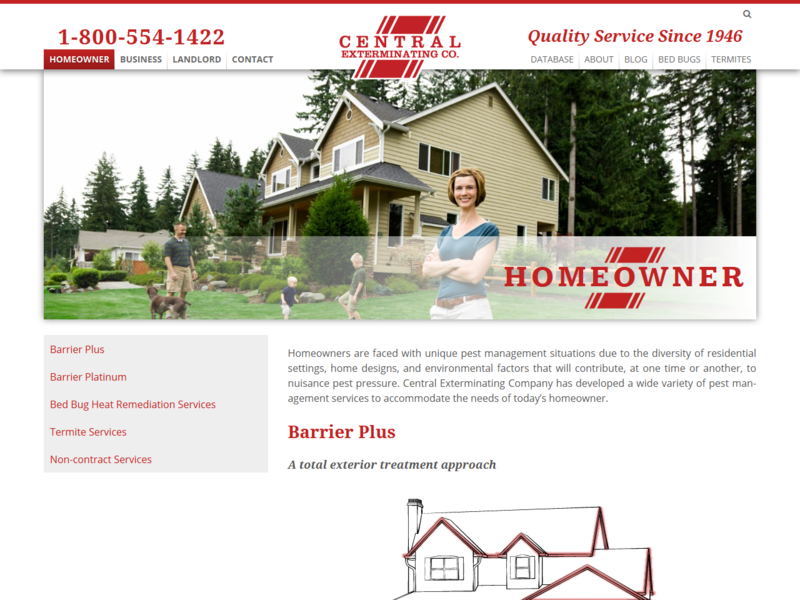 They were in desperate need of a website redesign, and I was happy to oblige. 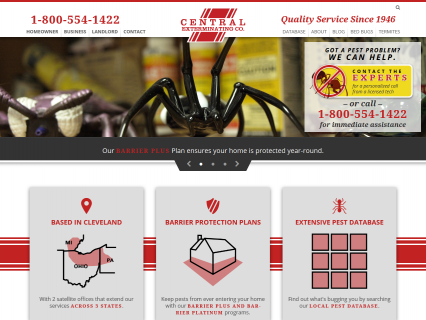 Built with WordPress with a fully custom theme, this was my first live project to make use of SASS. 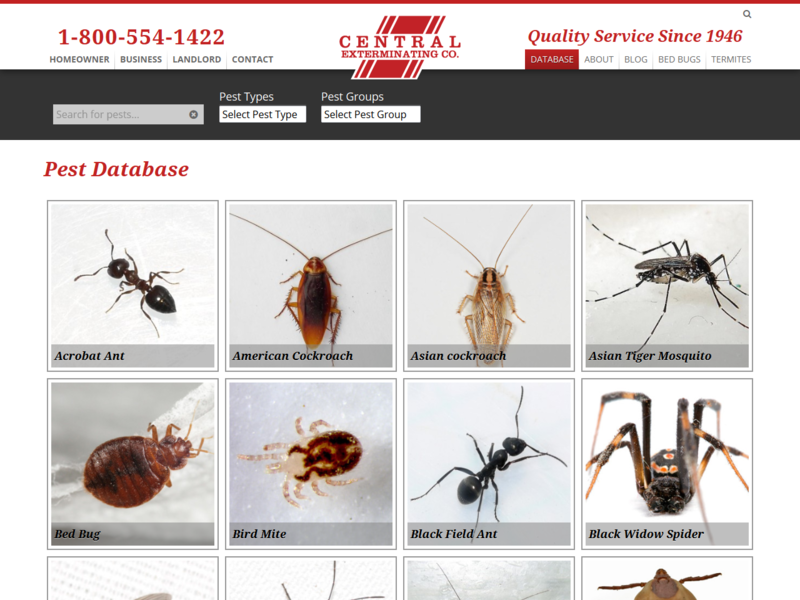 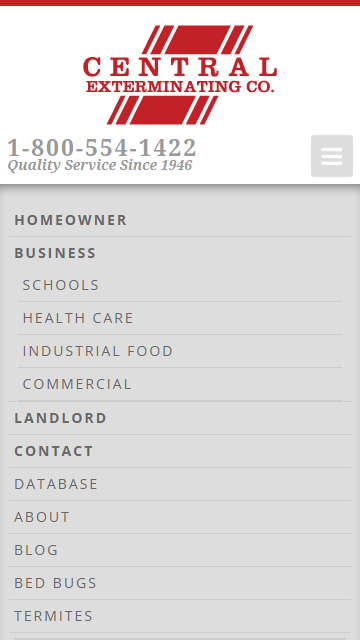 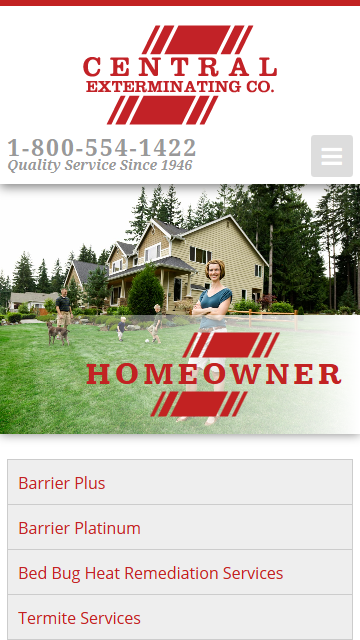 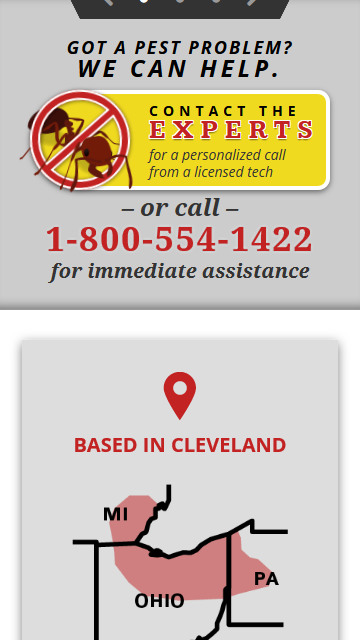 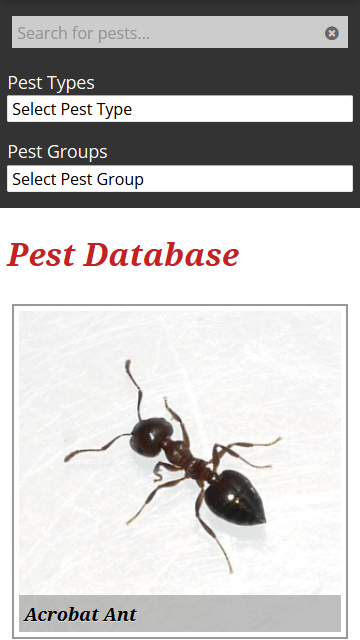 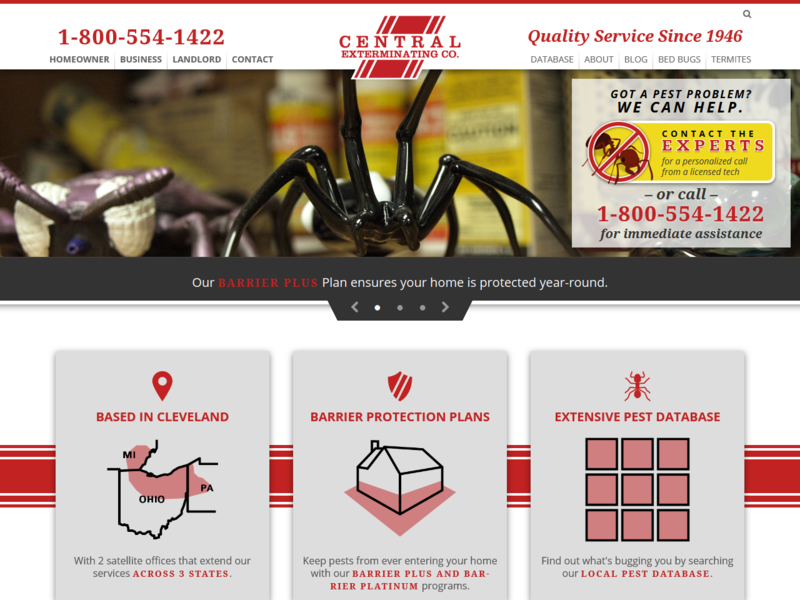 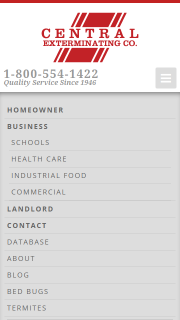 The site features a mobile-first responsive design, a service map powered by Google Maps, social media integration, and a “Pest Database” built with custom post types. View the site live at http://centralexterminating.com.